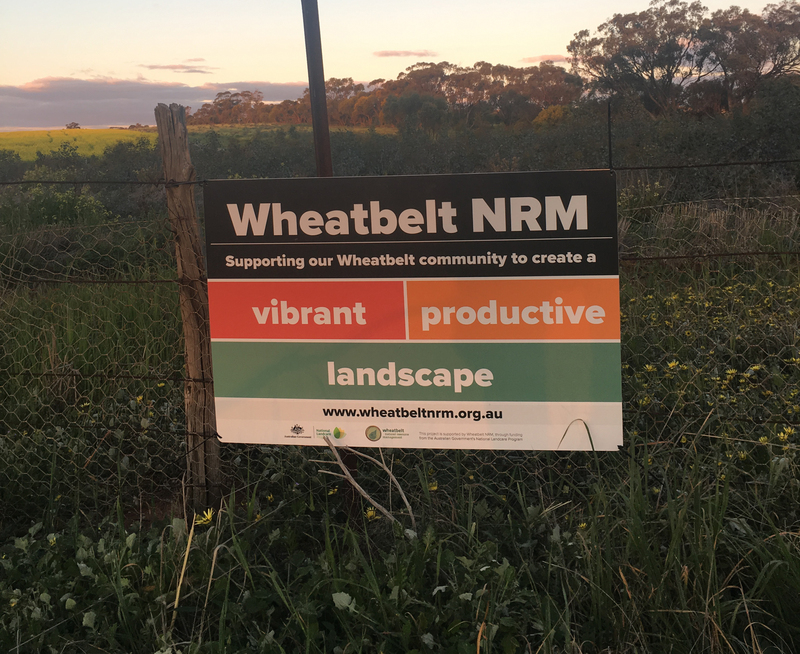 Wheatbelt NRM project signs are still appearing all over this vast region that we call home. Last week we were in the south east Wheatbelt catching up with a number of community driven projects that will improve the management of our natural resources. So far 75 signs highlighting recent projects have been installed. These signs are limited edition, earnt through commitment and action by the people who have them. We’ve already had one stolen from along the GEH, but you don’t have to resort to that to be part of it. Keep your eyes out for upcoming opportunities through Wheatbelt NRM and the National Landcare Program. They’ll all be promoted through our Enews.